Roth’s cheesemaking history began in Switzerland in the mid-1800s, before it hopped across the pond to our fair southern Wisconsin. All of that expertise informs this rare, small-batch, award-winning Wisconsin raw-milk treasure. In terms of the cheesemaking process for this beauty, the curds are cooked in copper vats, and the wheels are cellar-aged and regularly washed, turned and flipped for six months or more. 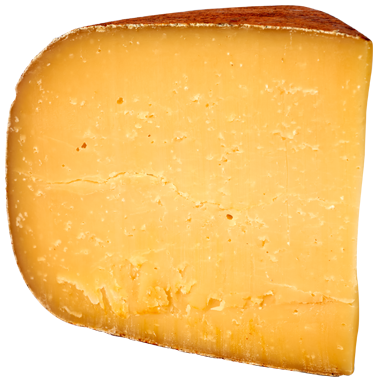 No amount of praise can overstate our love of this rich and savory, no-shortcuts alpine cheese Wisconsin classic. We always recommend storing low-moisture cheeses like RPR in plastic. Make sure to slice off the surface of the cheese that was in contact with the plastic before serving it. The hints of honey in Roth’s Private Reserve do well with slightly sweet drinks like hard cider, riesling, fruit wines, port and brandy. Anything that you’d do with a classic parmesan you can do as well or better with Roth’s Private Reserve. Cured meats are fantastic with this cheese, whether on a board, a pizza or in pasta. We also really love to showcase it, as is, on a cheese board with toasted hazelnuts, candied walnuts, fruit pastes and thinly-sliced pear and apple.